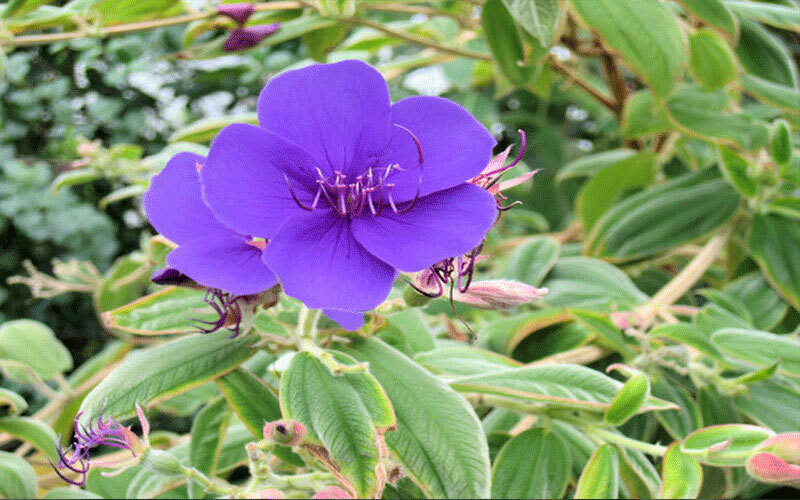 In general the Glory Bush is a tropical evergreen tree or shrub, with large hairy leaves, deeply veined, and showy purple flowers. Flowers sporadically over a long season. Prefers rich, well drained acidic soil. Requires pruning to prevent elongating, prune lightly after flowering, prune more heavily in spring. Pinch tips on young plants to promote bushy growth. 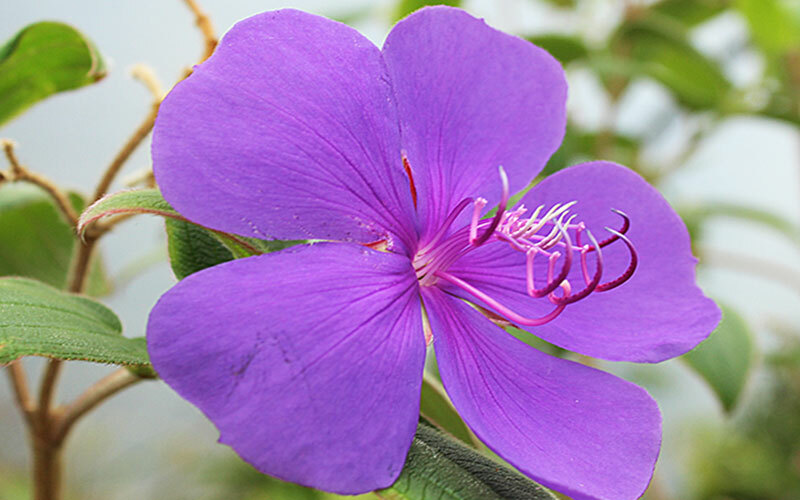 Plant It grows to 4 or 5 feet tall overall if kept in bush form or up to 15 feet as a tree, preferring full to part sun. Young plants need extra phosphorus to encourage good root development. Look for a fertilizer that has phosphorus, P, in it (the second number on the bag.) Apply recommended amount for plant per label directions in the soil at time of planting or at least during the first growing season. 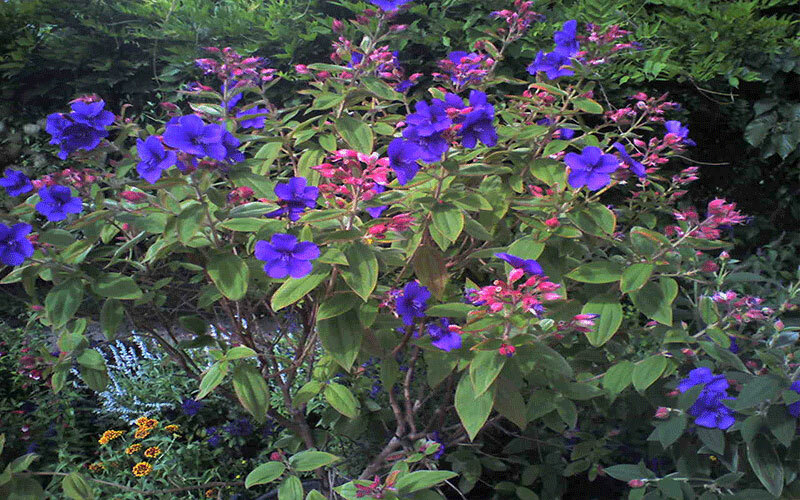 Full sunlight is needed for many plants to assume their full potential. 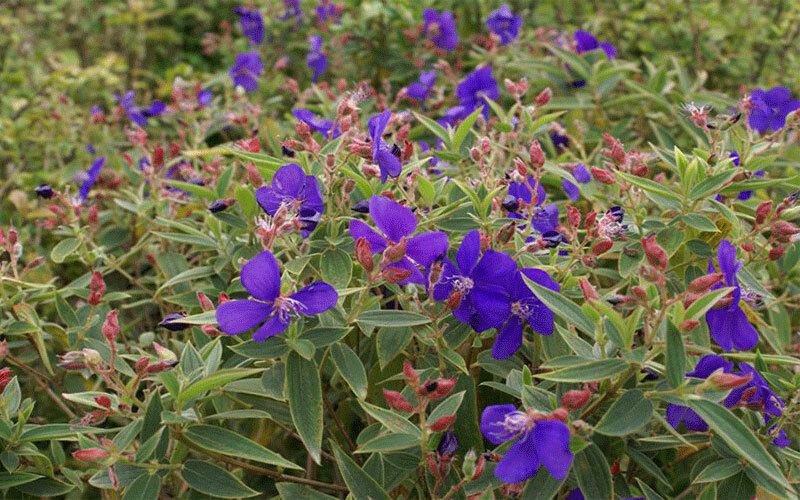 Many of these plants will do fine with a little less sunlight, although they may not flower as heavily or their foliage as vibrant. A water ring, sometimes called a water well, is a mound of compacted soil that is built around the circumference of a planting hole once a plant has been installed. The water ring helps to direct water to the outer edges of a planting hole, encouraging new roots to grow outward, in search of moisture. The height of the mound of soil will vary from a couple of inches for 3 gallon shrubs, to almost a foot for balled and bur-lapped trees, especially those planted on a slope.